Due to the fact Mr. Invictus is a public figure, and has appeared in recruitment videos and other media on behalf of the organization, we are making it known he is no longer is a member. His words and actions no longer represent the ideals we are dedicated to preserving and defending. His attempts to merge factions with incongruent ideologies like National Socialism, National Bolshevism, and other forms of tyranny based on ethnicity – into the growing right-wing populist movement, under the name “Unite The Right”, is now a discredit to himself only. He will no longer be allowed to discredit our organization, or its membership. We reject his claim that disagreement with Nazis, Socialists, and other totalitarians makes one a coward, “cuck”, or traitor. 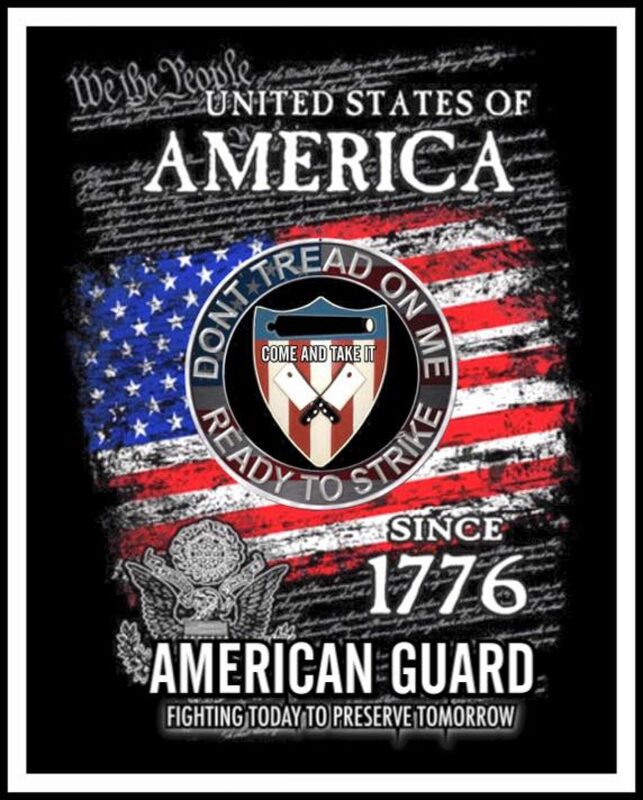 The American Guard promotes Constitutional Nationalism, as expressed in The Four Pillars and The Bill of Rights. We see no difference between left-wing or right-wing tyranny. Oil and water do not mix.We will not unite with any group that does not respect the great principles of individual liberty and economic freedom that form the bedrock of this great nation. We offer friendship to all who embrace these sacred ideals. While we respect freedom of speech, we are under no obligation to suffer poisonous ideas spread in our name. We hereby exercise our freedom of disassociation, and the decision was made in accordance with our bylaws, via unanimous vote of the State Presidents.